The Land Portal Project is looking for a Intern to support the Land Portal Project. 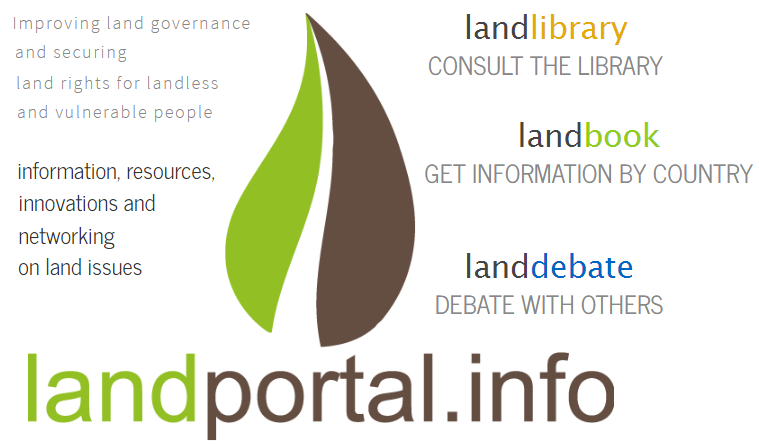 Land Portal is a project which is partnership based and was formed to create an accessible, easy-to-use online platform to share land related information, monitor trends, and identify information gaps to promote effective and sustainable land governance. Land portal was created by the International Land Coalition (ILC), in partnership with FAO, IFAD, ActionAid, IEH, IALTA and AGTER. Working knowledge of English is necessary. Fluency in French and Spanish is desirable.